A no-deal exit is what civil servants now consider most likely—and it is one that sections of the British public, in full kamikaze mode, are clamoring for. Nobody much enjoys being told that their corrosive national crisis is just like a completely different one, in another country. But let’s do it anyway, because the parallels between the currently gridlocked US Congress and gridlocked UK Parliament are impossible to ignore. In both, seats of power are paralyzed, held captive to undeliverable and unworkable promises made by the populist right. Trump’s “Build the wall!” pledge, now mysteriously lacking the bit about Mexico paying for it, has shut down the US government. Meanwhile, Britain’s exit from the EU, promised by leading lights of the Leave referendum campaign to be the easiest deal in history, is causing the mother of all parliaments to break down before our eyes. How do you unjam politics once it has reached this state of dysfunction? Don’t ask the UK—and certainly not its prime minister, Theresa May, the weak leader of a minority government, pummeled as much by her own bad choices as by her bitterly divided party, who may as well be rote-reading Brexit hostage scripts prepared by hijackers. May’s Brexit deal last week lost a parliamentary vote by a whopping 230 votes. It was the worst defeat in British history. MPs of all stripes, including her own, united to trounce May’s deal, albeit for different reasons. You’d think such a resounding defeat would kill off the deal, forcing May to reach out across Parliament and consider other options. But no, this is a zombie deal—the Chucky doll of Brexit deals. In the days since May’s humiliating defeat, we have learned that her Plan B is to try to rally support (again) among her own MPs by asking the EU (again) to amend bits of the deal that they have already said, in every possible way, that they will not and cannot amend. This delusional behavior is being described by Conservative MPs as “one more heave.” It is over what we’re calling the “Irish backstop”—an EU/UK agreement that Brexit arrangements won’t create a hard border between Northern Ireland (part of the UK) and the Republic of Ireland (part of the EU), since this would upset the landmark 1998 peace deal that ended decades of violent conflict. The prime minister is still trying to placate the extreme Brexiters of her own cabinet, described in the British media as the headbanger wing. They don’t want to stay in a customs union with the EU and seem to view the Irish border issue as a small detail getting in the way, rather than a fundamental concern that, if unheeded, could reignite the Troubles. With the country set to leave the EU on March 29, parliamentarians are now trying to find ways to take control and steer this paralysis toward a softer deal, keeping the UK in a closer relationship with the EU and lessening the battering to the British economy (by the government’s own economic assessments, every version of leaving the EU will hurt the nation’s finances; it’s just a question of degree). And while Labour’s attempt last week to force a general election through a parliamentary no-confidence vote failed, there are signs that the prime minister might be preparing for one anyhow. Some have joked that the biggest indication of that is May’s denying it—as she did, repeatedly, before calling the 2017 snap election that shattered her majority and gave the Labour Party under socialist leader Jeremy Corbyn a historic 40 percent share of the vote. 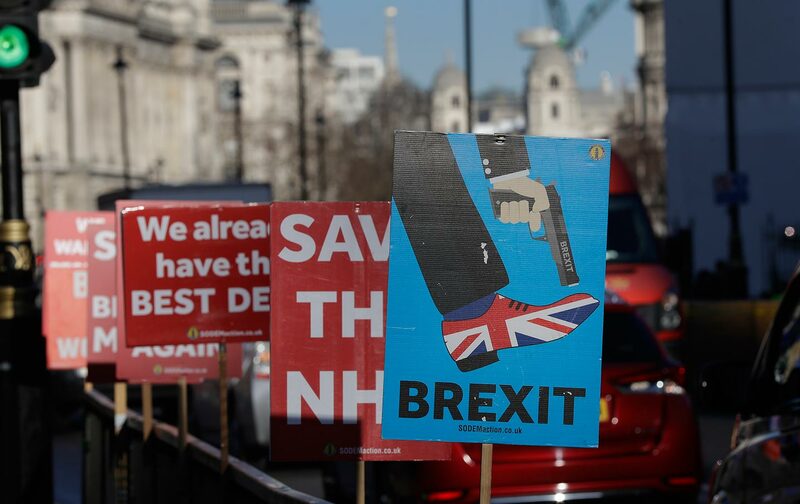 Britain’s entire civil service is now preparing for a no-deal scenario—the worst possible outcome, in which Britain would have to deal with food and medicine shortages, busted supply lines, grounded planes, and gridlocked roads. This is not only the post-exit outcome that civil servants now consider most likely, but it is one that sections of the British public, in full kamikaze mode, are clamoring for. Politicians can’t agree on what to do next: try for a softer Brexit or take the question back to the people. The confusion is in no small part due to the referendum itself, which was so narrowly won and in any case did not specify how Britain should leave the EU. There isn’t a parliamentary majority for any option, which is one reason Labour has been pushing for a general election. The other reasons, while we’re here, are that a government that bungles a major policy this badly should not be in power, and that the national divisions that show up so corrosively in the Brexit split can only be addressed by Labour’s redistributive economic program. This has some traction, when you consider that Britain is now the most unequal country in Europe, in terms of income and opportunity; that the most economically damaged parts of the country voted to Leave; and that the Conservative government’s austerity policies have, according to UN poverty expert Philip Alston, inflicted “unnecessary misery” on citizens, fueling a rise in poverty. Amid increasingly entrenched divisions between Leave and Remain voters, Corbyn in a recent speech described a country that is in reality united over the same concerns. “People across the country, whether they voted Leave or Remain, know that the system isn’t working for them,” he said. “It’s the failed system rigged against the many to protect the interests of the few that is the real cause of inequality and insecurity.” Much of the party’s current campaigning is focused on this inequality and the left-behind populations in its Leave-voting heartlands. A party political broadcast titled “Our Country,” which ran on the day of the no-confidence vote, did not mention Brexit at all, instead depicting the everyday struggles of the many and Labour’s economic plans to address them. But Brexit is where Labour is now running into a different set of problems, because its course of action is putting the leadership in conflict with the party membership—until now, a source of rock-solid support. Last year’s party conference, its largest and most left-wing after Corbyn’s leadership swelled Labour’s membership to over half a million, agreed on a timetable for its Brexit stance: If the party could not secure a general election after voting down May’s deal, it should “support all options remaining on the table, including campaigning for a public vote.” Grassroots members think Labour should now back a second referendum. But the leadership is delaying, not least because its own shadow cabinet is divided on the issue and there is not yet a majority in Parliament to support this stance. Labour voters are also divided on Brexit, which is why this is all so difficult: Two-thirds are Remainers, but the rest are Leavers and account for more of Labour’s parliamentary seats. The leadership view is that backing a second vote would cripple Labour in elections, but others argue the exact opposite: that the path to government runs through a Labour-led second referendum campaign. One Labour organizer suggests that making a handbrake turn in favor of this campaign would, were there to be a referendum, give the party swaths of airtime to trumpet transformational policies for a Britain inside the EU. “It’s a golden opportunity if you have any confidence in your ideas,” he says. But still, divergent views over Labour strategy rely on different bits of polling, and there is enough to support either position. Where everyone does agree is that nothing is certain and everything is volatile. 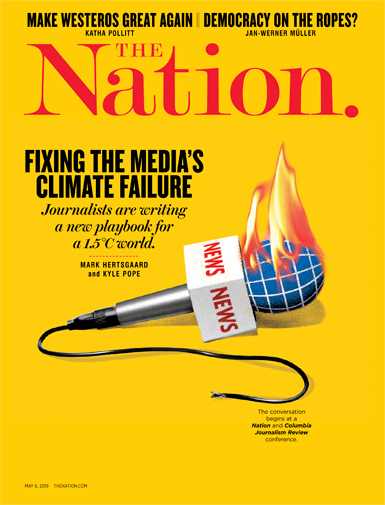 All of which is why some of the Labour left, including prominent commentator Paul Mason, have argued that it comes down to fighting for principles—“from the gut,” as Mason puts it, referencing the instinctive political dynamism of newly elected US Democratic Representatives Alexandria Ocasio-Cortez, Ilhan Omar, and Rashida Tlaib. The problem, though, is that not everyone’s gut is telling them the same thing. Certainly from the grassroots to the top, there is an aversion to the very idea of asking people to vote again over a toxic subject that in 2016 was billed as a once-in-a-lifetime referendum choice. This explains why the leadership wants to be seen as exhausting all other options, with a second vote as an unavoidable last resort rather than an attempt to frustrate the first. But there is a more profound divide over what this Brexit battle represents. Among the pro-Remain grassroots of Labour, the EU issue is a carrier for other values and principles: anti-racist, pro-immigration, and an outward-looking, internationalist version of Britain. For them, Brexit is a nativism-fueled, free-marketeer project of the 1 percent and thus something that Labour, the party for the many, should be opposing. “It represents the global far right, it is the British wing of the global franchise that includes Trump, Jair Bolsonaro, Marine Le Pen, and other far-right projects around Europe,” says Michael Chessum, national organizer for Another Europe Is Possible, a left-wing pro-EU group. It’s not clear that Brexit and the divisions unleashed by it have the same connotations for the party leadership, which is historically EU-skeptical and may locate socialist and internationalist principles beyond the Brexit issue, as opposed to running right through it. An activist with Momentum, a grassroots group of Corbyn supporters, says the leadership “doesn’t understand the depth of feeling” in favor of remaining in the EU. “It’s a heartfelt position and a profound issue for people.” Supportive of the Corbyn project, many on the Labour left are now conflicted—not least because part of Corbyn’s appeal in the first place was his non-triangulated principles and commitment to party democracy. Just like with progressive candidates in the United States, a significant factor in Labour’s electoral fortunes is its ground game, the willingness of enthusiastic campaigners to canvass for the party—on the streets, at work, and in the pub. For many taking the temperature at the grassroots, the fear is that Labour’s current Brexit calculation may be crushing this spirit—maybe not massively, but just enough for the party to lose its edge. Rachel ShabiRachel Shabi is a UK-based journalist, author, and broadcaster who has been covering the Labour Party for various publications including the Guardian, the Independent, and The New York Times.